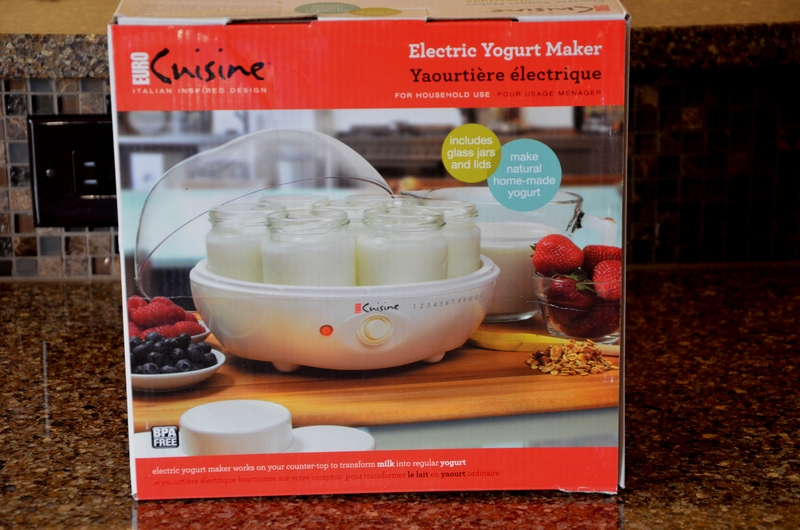 Last week I found this yogurt maker on Amazon for $24.99. 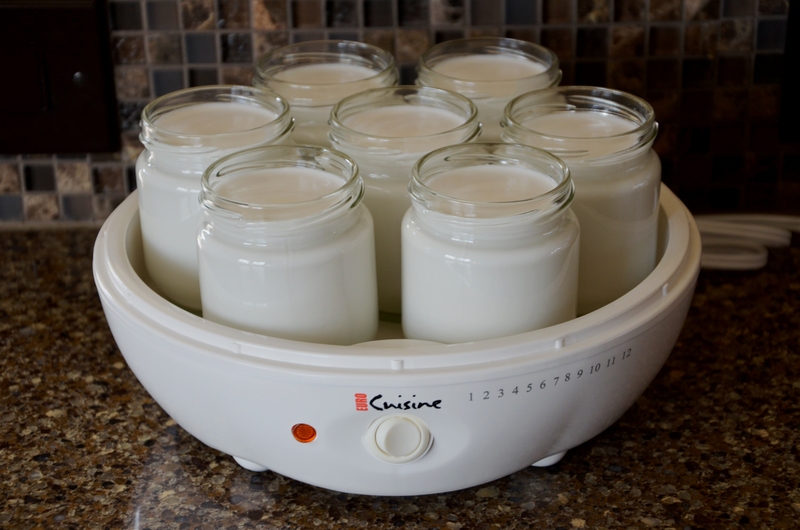 There’s all kinds of ways to make your own yogurt at home, you don’t necessarily have to have a yogurt maker. You can use your oven light or a cooler with a heating pad. 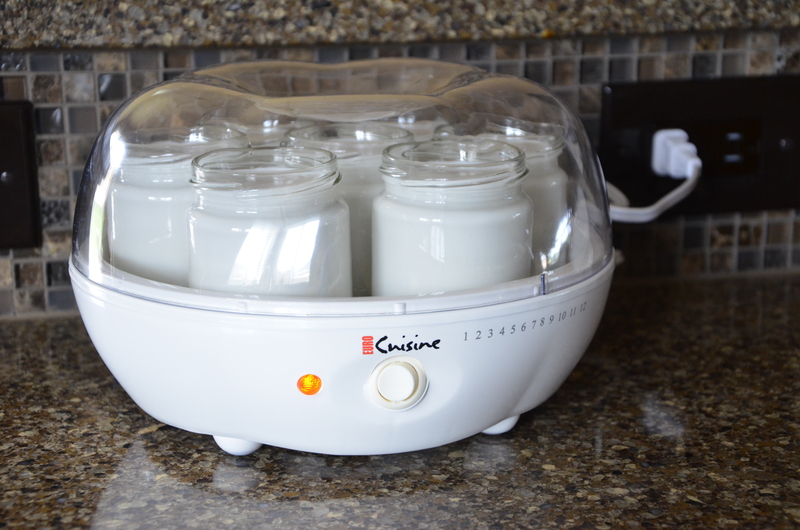 But both of those methods didn’t appeal to me and when I realized I could purchase a yogurt maker for such an inexpensive price, I figured, why not. Good, dairy free grocery store yogurt is difficult to come by. There are do-able brands like the So Delicious Greek Style Yogurt made with coconut milk and the Amande brand made with almond milk. While both of those are tasty, neither one of them have a real yogurt consistency and they are loaded with refined sugar and additives. 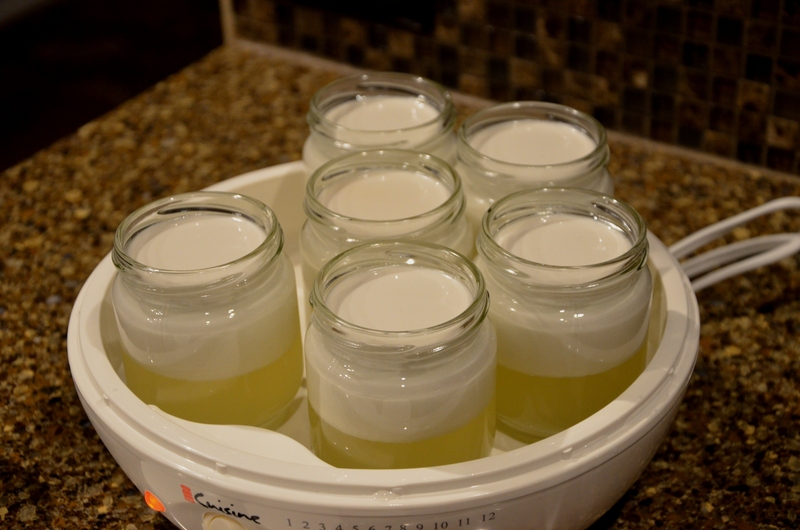 It’s definitely worth it to make your own organic yogurt where you control the sugar and additive content. Making yogurt out of non-dairy milks can be a challenge though. I did the research and there are several methods and all kinds of advice. I wanted it to be as pure as possible so I just added the coconut milk, medicinal honey, and one and a half very high quality probiotic capsules. 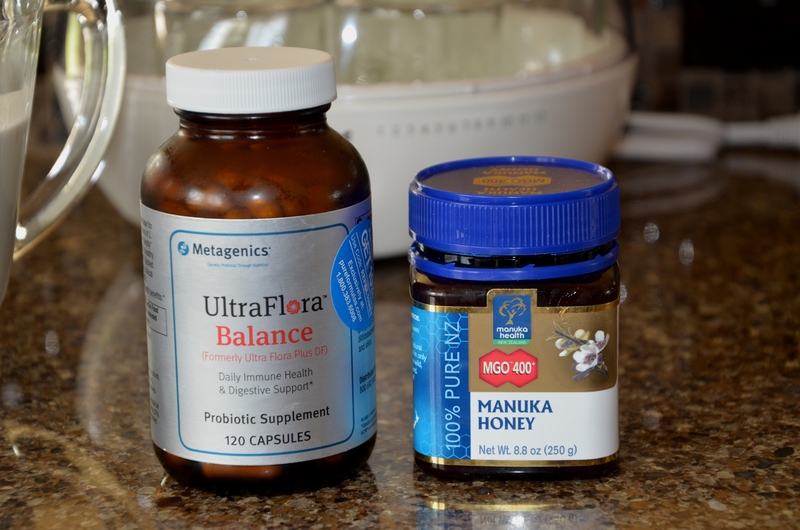 I take that probiotic daily, so it was convenient to use. 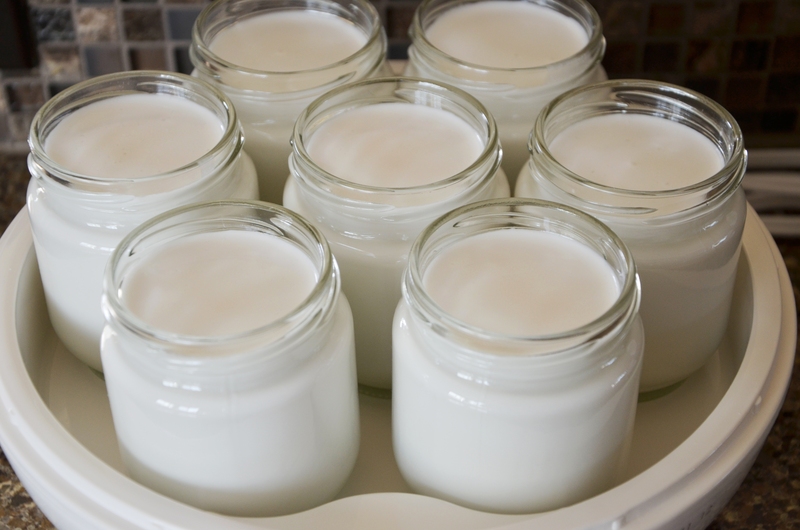 If you need to purchase a probiotic for yogurt making (I think that’s the easiest way) make sure you do your research and choose high quality. 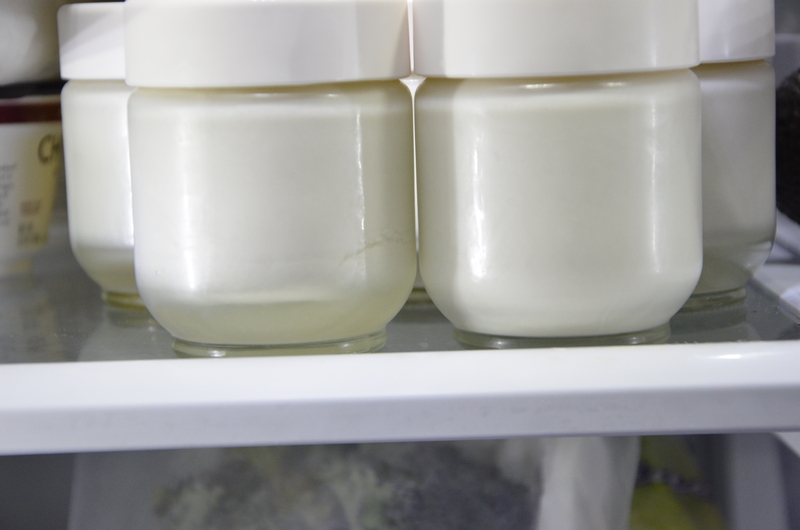 The milk needs bacteria to ferment and the bacteria needs sugar to eat and grow. I read the simple directions to figure out the quantity of milk I needed, did some research on the internet to try to figure out a good balance between honey and probiotics and I was off to a good start. You just mix all the ingredients together, pour them in the glass jars (after washing them of course), put the lid on, turn the machine on, and let it sit for 8-12 hours. I let mine sit for 12. The first thing I noticed after the 12 hours was that the cream had separated to the top. I could tell that even if I shook it that the cream on top wasn’t thick enough to compensate for all of the liquid on bottom. 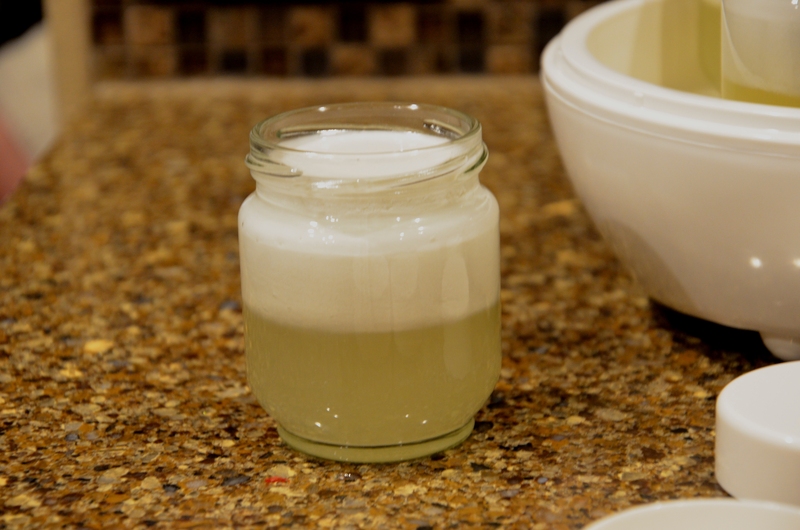 So I did a bit more research on “coconut milk separation” and decided to add a bit of gelatin, which I probably should have added at the beginning of the process. Not knowing how much was too much, I just added a little pinch to each jar, gave it a very good shake (1 minute each to dissolve the gelatin), and placed them in the fridge overnight. 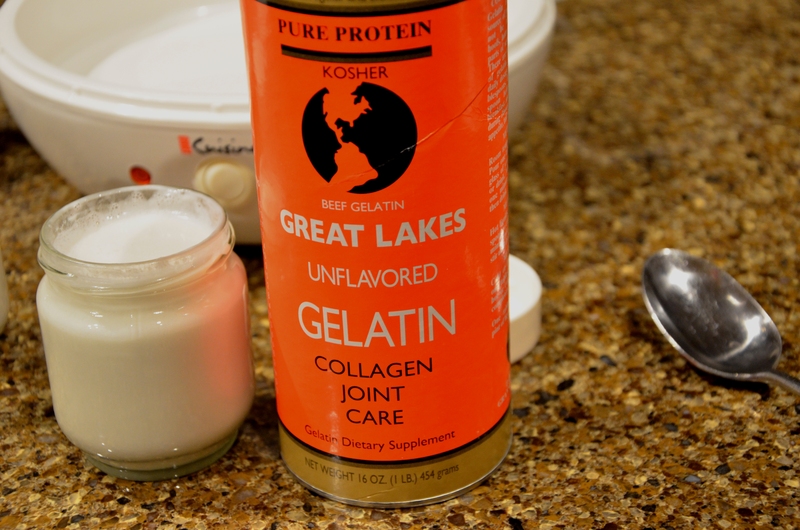 By the way, gelatin is excellent for the gut, joints, hair, and nails. By mid day the next day they had solidified more than the night before, but still not enough to become yogurt. I shook them again a few times and left them for one more day. A little improvement but not much. I should have been more generous with the gelatin, but was afraid it would end up too gelantinous. 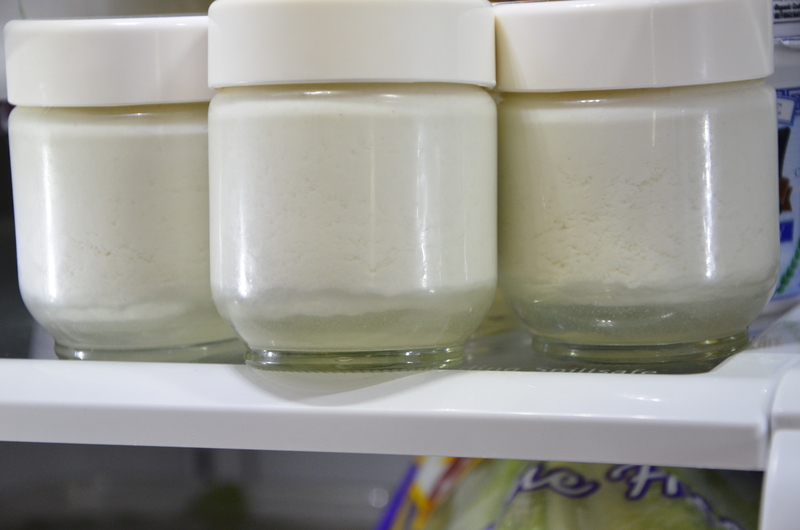 I ended up with a batch of fabulous fermented coconut milk to drink and use in smoothies. 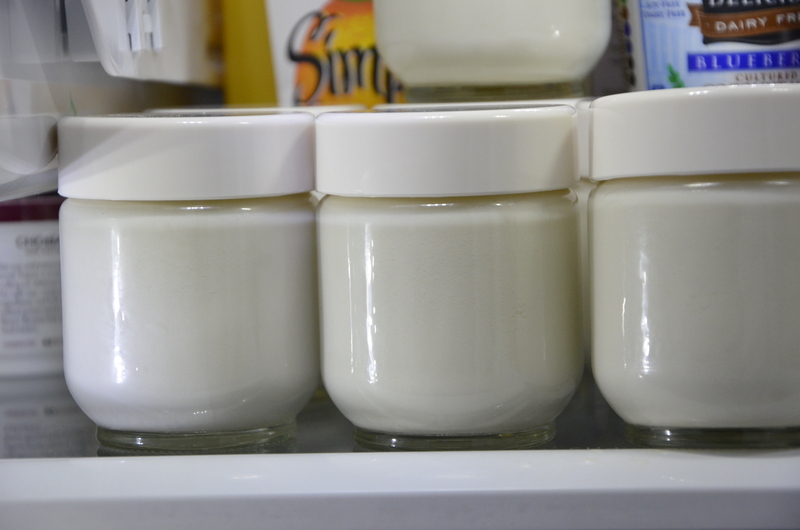 Whether it’s solidified in the form of yogurt or not, it’s still excellent for your health. We made vegetable fruit smoothies with some of the fermented milk this morning and they were delicious. 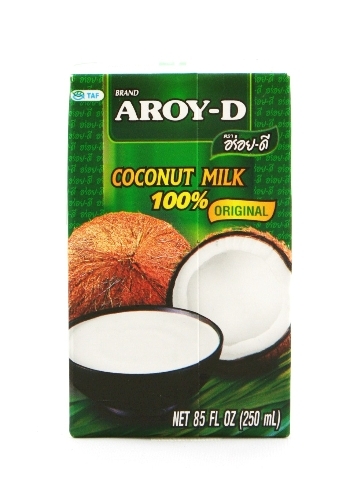 This weekend I’ll try a different brand of organic coconut milk and also increase the gelatin amount. 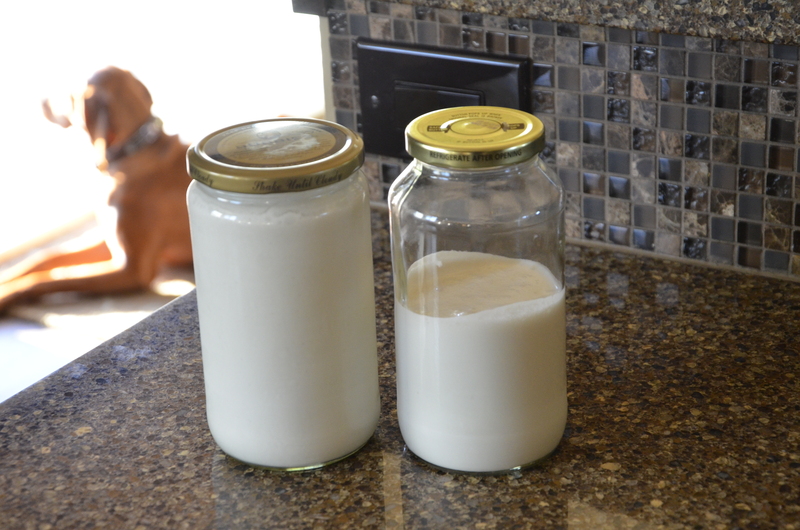 I love coconut yogurt but it is very expensive here, so I’ve been wondering about making my own. I’ll be interested in your future efforts. Thank you.